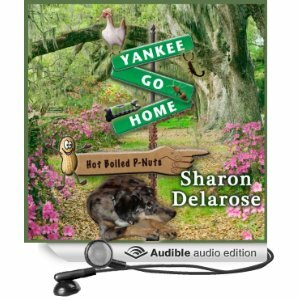 Author Sharon Delarose is offering a chance to win a free download of Yankee Go Home! Just hop over to her blog and and and enter your name and email address for a chance to win. This book was a lot of f un to narrate. There’s the south and there’s the DEEP south. Find out what happens when a young Yankee woman decides to wade in the deep end. Giveaway ends August 21, 2013, and the winner will be chosen at random. Posted by lahowlett on August 5, 2013 in Uncategorized and tagged audiobook, giveaway, Lee Ann Howlett, Yankee Go Home.